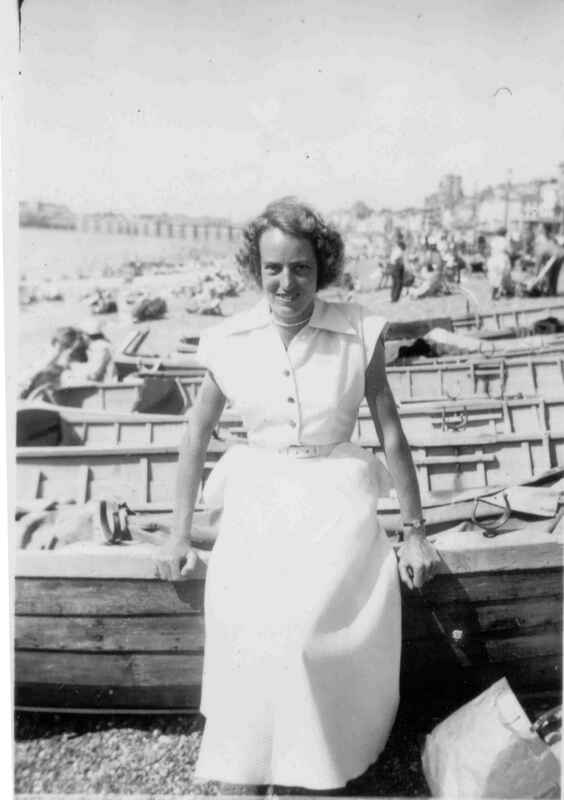 Jean Goldsmith (Graham & Ian's Mum) passed away on 6th June 2003. She will be greatly missed, and not least in the local church and the Invicta singers who she was a part of for many years. It was therefore all the more fitting that the singers sang at the funeral service as a celebration of the part music played in her life. She had diabetes for about 54 years and Rheumatoid Arthritis, but she did not let these conditions limit her in anyway. She flew for the first time at the age of 51 to New Zealand to see the family. She helped in every way she could in establishing the Paula Carr diabetes centre at the William Harvey Hospital in Ashford. Besides singing in the Invicta singers and the local church choir for many years. She touched the lives of so many. • Military Service: ATS, 1945-1948, Woolwich, Kent, England. 6 Went to Egypt in 1946 by steamer about June. Had 21st birthday in Fyad by Paras. Came back on The Amapora from Port Fourad, Egypt to (spent Xmas off Lisbon) Hamburg, then onto Glasgow in Jan 1948. 4 Death Certificate held by Graham & Sandy Goldsmith, Graham Goldsmith present at the death. 5 Death Certificate held by Graham & Sandy Goldsmith. 6 Graham Goldsmith, "Jean Wilkinson". 7 1837online BMD Indexes, Jun Q 1920, East Ashford, vol 2a, p.2072, Boldock (Baldock). 8 Death Certificate held by Graham & Sandy Goldsmith, Had Headaches, Age 32, Greenwich, vol 5c, page 389, Sep Q 1952. 9 "Graham Goldsmith", Cremated then Ashes scattered East Lawn by Rustic Bridge on the bank by Pocock Label. Charing Crematorium No. 16724.